City football giants Mohun Bagan will look to continue their winning momentum as they face Shillong Lajong in a fourth-round I-League encounter at the Vivekananda Yuba Bharati Krirangan here on Thursday. Only one point separates the two teams and it will be Mohun Bagan who will be licking their lips to jump back into pole position by securing three points from the matchup. The last-minute equaliser to squander a one-goal lead at Minerva Punjab FC in the season opener now seems a distant memory for Bagan who have bounced back with the Kolkata Derby win and most recently a 5-0 drubbing of Churchill Brothers at the Barasat Stadium last weekend. Action returns to the Vivekananda Yuba Bharati Krirangan and Mohun Bagan head coach Sanjoy Sen, who celebrated his birthday on Tuesday, did not deem that changing home ground from Barasat Stadium will be much of an issue. “For us every ground is challenging. Our record in Barasat is good. We are always prepared wherever we play. 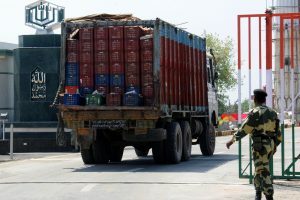 We have to be consistent,” Sen said. 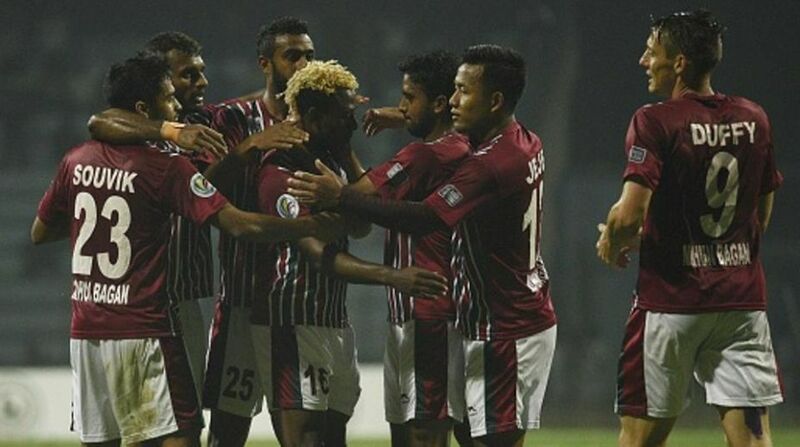 However, four Mohun Bagan players sustained injuries in the last game and while Yuta Kinowaki and Arijit Bagui remain indisposed, Sony Norde and Ansumana Kromah still have hopes of making it into the squad despite training in pain on the eve of the game. “Laurence (Doe) is my senior player. When he started playing I was small. He left the country as his style was not liked by the national coach. He is an idol”, he commented on facing his fellow Liberia-born player, who plays as a defender for Lajong. Mohun Bagan players Gurjinder Kumar and Shilton D’Silva look to reprise their roles as Nikhil Kadam has been kept as standby to Sony Norde. After opening his Mohun Bagan account with a brace, the spotlight will be on Aser Pierrick Dipanda Dicka who welcomes his old side and will have mixed emotions as he steps out onto the pitch to play against the team with whom he won the Golden Boot last season, scoring eleven goals for the Reds. On the other hand, Shillong Lajong stayed back in Kolkata after their 5-1 defeat at the hands of Kingfisher East Bengal last Saturday and will look to make amends to cap their tour to the ‘City of Joy’. Praise for the young team came from the opposition camp through Sanjoy Sen who said, “Lajong’s 5-1 defeat isn’t an advantage for us. I told my boys that three points are important. We need to be cautious. It was just a bad day in the office for Lajong last game. Lajong head coach Bobby Nongbet felt the pressure on him. “It’s a bit of pressure for us against Mohun Bagan considering how they played against Churchill. “In the last match, we conceded two early goals in first and second half which made it difficult to come back. Kingfisher East Bengal played well. But if Sony Norde and Kromah don’t play, it is an advantage for us,” said the Meghalaya-born.